Da redação | No Questão de Opinião desta quarta-feira (3), um dos destaques foi que vândalos atearam fogo em 10 contêineres de lixo em Caxias do Sul. As lixeiras, que servem para a coleta seletiva e ficavam na área central da cidade, foram incendiadas na madrugada da última segunda-feira (1º). O prejuízo é estimado em cerca de R$ 16 mil. Em todo o ano passado, 86 contêineres foram danificados em Caxias, gerando um prejuízo de R$ 137 mil. Os atos de vandalismo são sempre muito semelhantes: ocorrem durante a madrugada e sem testemunhas. Outro assunto debatido foi o custo do tratamento de Michael Schumacher e a polêmica da redução da Maioridade Penal. O ouvinte pode sintonizar a Rádio Real pelo AM 540. Quem não consegue captar o sinal consegue escutar também pela internet através do site da emissora. No portal Agência GBC, os internautas têm um link que redireciona para a transmissão. O “Questão de Opinião”será apresentado de segunda à sexta-feira das 11h às 13h. but I thought this post was great. I don’t know who you are but certainly you’re going to a famous blogger if you aren’t already 😉 Cheers! similar matter, your site got here up, it seems good. Hello my loved one! I wish to say that this article is amazing, great written and come with approximately all significant infos. I seriously love your site.. Pleasant colors & theme. Did you develop this web site yourself? Please reply back as I’m wanting to create my own blog and would like to find out where you got this from or just what the theme is called. I’m inspired! Very helpful information specially the closing phase 🙂 I maintain such information much. actually much more neatly-favored than you might be now. Every weekend i used to visit this site, because i wish for enjoyment, since this this web site conations in fact pleasant funny information too. GBC is a little boring. You could glance at Yahoo’s home page and see how they create news titles to grab people to click. I’m looking forward for your next post, I will attempt to get the hang of it! and websites to read articles or reviews, but this weblog presents quality based content. Hi there colleagues, its wonderful piece of writing regarding tutoringand fully explained, keep it up all the time. my site!I suppose its good enough to use some of your concepts!! I think I might by no means understand. It sort of feels too complex and very wide for me. It’s genuinely very complicated in this busy life to listen news on TV, so I simply use internet for that purpose, and take the most recent information.  e Maioridade Penal são destaques do programa de hoje – Agência GBC <Liked it! Unquestionably imagine that that you stated. Your favourite reason seemed to be at the internet the simplest factor to take into account of. top and outlined out the entire thing without having side effect , folks can take a signal. seems like the first 10 to 15 minutes tend to be wasted just trying to figure out how to begin. I am truly thankful to the owner of this web page who has shared this fantastic article at here. I’ve read this post and if I may just I want to suggest you some attention-grabbing things or tips.